Well, some of them you’ve probably heard of, but the point of this article is, the benefits of the same that you probably didn’t know about. Most of vegetables we consume every day are just part of our diet, and it is most likely that we never had explored its properties (but why would you? You know it’s good right?). Stick with us to find out amazing properties these vegetables have for the benefit of your health, mood and longevity. In Latin – Lepidium Meyenii, a cruciferous vegetable (in the family with broccoli, kale and cauliflower), originally grown in highlands of Andes mountain Peru. Sometimes referred to as Peruvian ginseng, for thousands of years it has been consumed by the locals for its various benefits. It is good for your hormonal balance, thus impacting your libido naturally, and it may increase fertility in men, improving sperm production. Same is with women, it can help them with menopause, reducing the symptoms like mood swings, sleep disorders and so on. Maca is also a mood enhancer, reducing depression, anxiety etc. It can also boost your energy and sport performance, as well as memory and learning. Member of the same family as the one above, it has been widely used in our cuisine in a lot of different ways and dishes, but its numerous health benefits are probably not as know in the same amount as it is popular. It is easily considered superfood for its cancer fighting properties. Cauliflower contains sulforaphane, compound proven to exterminate cancer stems cells, and in combination with curcumin, treats prostate cancer. Sulforaphane also improves blood pressure and kidney functions. Cauliflower is rich in minerals and vitamins, like vitamins C, K and B6; riboflavin, pantothenic acid, potassium, tiamin, manganese etc. All of these ingredients make Cauliflower a powerful antioxidant, anti-inflammatory vegetable, and for its choline and B vitamins, a powerful brain health booster. This probably won’t come as a surprise for you (and for Popeye cartoon lovers), but through the years, scientists have found numerous benefits that weren’t known before. Some of it is spinaches nitrin, that turns into nitric-oxide after bacteria in our mouth consumes it, and this compound protects your intestines. Chlorophyll, what gives a natural pigment to it, as it is recently found out, can help you with satiety, decreasing hunger related hormones and blood sugar levels. Same as vegetables above, it has anti-inflammatory properties, but in spinach, beta-carotene and lutein are responsible for that. What is well known is that spinach has Iron, vitamins C, K, A and B2, and is a rich source of manganese and magnesium. Zeaxanthin in spinach has an UV protection properties and benefits to eye health, and Vitamin K for fighting Alzheimer’s. Surely a vegetable you shouldn’t miss in your diet. Belonging to Allium family, with onions, leeks and shallots, it is used widely in all sorts of dishes for its strong taste and flavor, and sometimes even avoided because of it (you wouldn’t want to eat it before your first date). But in the ancient times, it was more used as a medicine, rather than an ingredient. It is because garlic contains sulfur, diallyl disulfide, s-allele, and cystene. It also has manganese, vitamins C and B, Selenium, and also calcium, potassium, copper. Garlic is well known for its immune boosting properties, so it is good for fighting sickness and regular cold. It is also good for regulating blood pressure, and fighting bad cholesterol in your blood. Antioxidants in Garlic help fighting Dementia and a recent study concluded that taking garlic oil can help your exercise performance up to 12%, so it is no wonder that Greek Olympic contestants used it in ancient times. Last but not least, considered a power food, widely known for vision health properties, Vitamin A and beta-carotene in it are also good for cancer prevention and it helps slowing the aging process of cells. 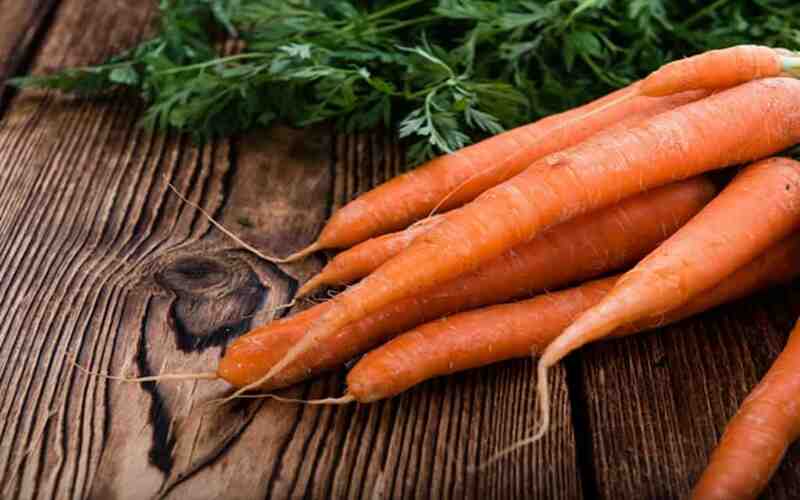 Beta-carotene rich suncream is widely used, but eating carrots helps keeping your skin and nails healthy, and by making creams from carrots, you can heal skin injuries and keep wrinkles away. And maybe less known fact, consuming carrots prevents heart diseases and stroke, and keeps your teeth and gums healthy. We hope that these facts will help you consider consuming more vegetables, now that you know their numerous health benefits. Whether you want to blend, cook or eat raw. Omega XL Review: Does This Supplement Provide Relief from Joint Pain? Why Parents Feel the Need to Monitor Their Child’s Phone? 7 Things That Adds Up To High Electricity Bills!